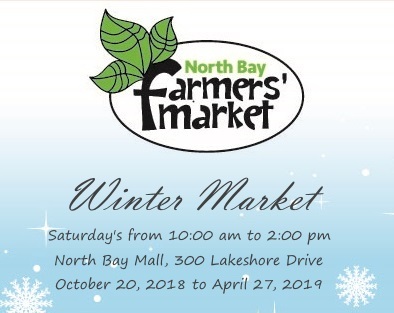 Come out and shop at the North Bay Farmers’ Market. 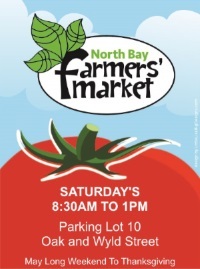 Today we are open from 8:30 am to 1:00 pm at Parking Lot #10, behind the North Bay Bus Terminal, at the corner of Wyld Street and Oak Street. Rain or Shine is the weather outlook. Check out our My Pick producers, food vendors and artisans that have come for the day. A vendor list and location map is located under the “Market Layouts” tab on our website, and you can check out a list of vendors on our Facebook page.